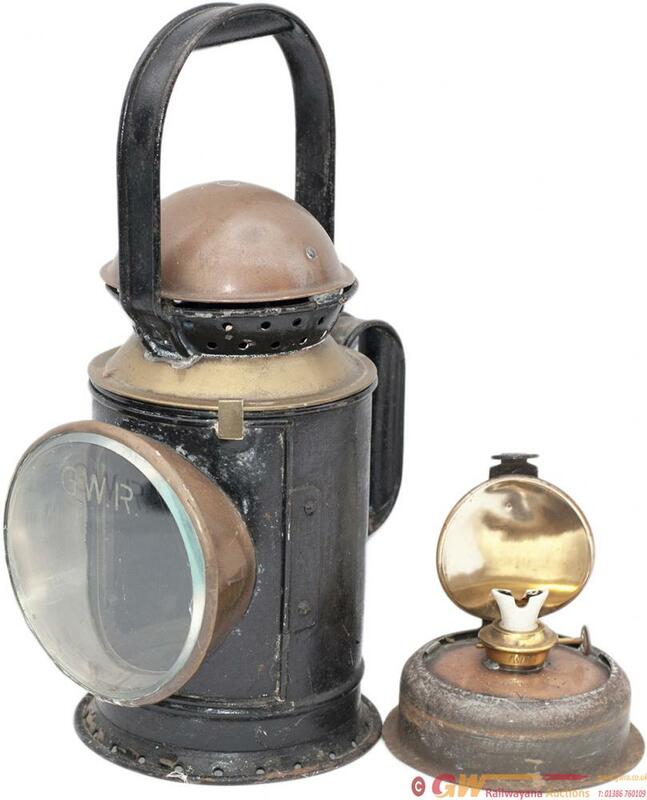 GWR 3 aspect brass collar coppertop handlamp stamped in the side GWR V SWINDON and brass plated 988. Complete with correct copper skinned reservoir also stamped GWR V and GWR burner, front lens etched GWR. Nicely restored and complete with all glasses. These are a lot rarer than the standard coppertop lamps.